Adult male blood pressure training arm (left) in tan skin tone to be used with the SimPad or VitalSim systems. Arm will also articulate to adult male patient care manikins and the SimMan patient simulator. Deltoid plug is non-injectable. SimPad system is sold separately. 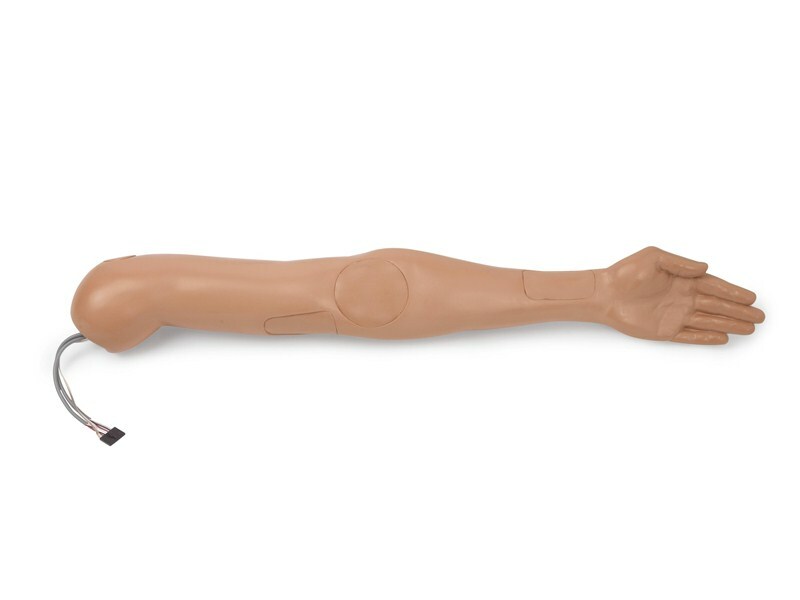 Note: The 380200T Blood Pressure Training Arm is compatible with MegaCode Kelly Advanced and ALS Simulator manikins manufactured prior to September 2009. See catalog number 205-10201T for Blood Pressure arm used with MegaCode Kelly Advanced and ALS Simulator manikins manufactured after September 2009.